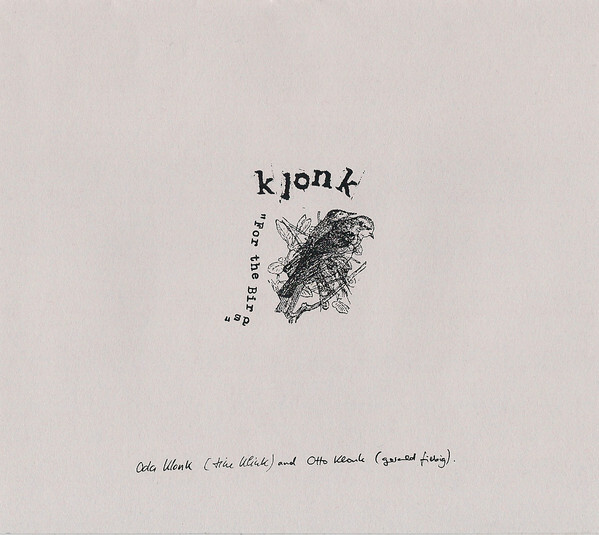 “For the Birds” is the first album by interdisciplinary art duo KLONK (Tine Klink and Gerald Fiebig). The 5 pieces, mainly based on their multimedia installation work, use the sounds of birds to explore our relationship to nature and its simulation. When working with field recordings, birdsong can seem almost omnipresent in natural surroundings. In turn, recorded birdsong has become something of a cliché of natural ambience, heard in everything from “relaxation” CDs to computer games. found in a nature reserve, a bird whistle, bicycle bells, and the sounds of hedgehogs, bees, and other insects. By increasingly disrupting the quasi-natural flow of ambient sounds by using loops, cuts, and drop-outs, the album deconstructs the idea of an unmediated nature. The listener begins to hear that what is nature to us is always a cultural construct. 8-pages booklet, designed by Michael Barthel. Edition of 30 hand-numbered copies.